These fashion editors are so frequently photographed for their brilliant personal styles that they're often referred to by their first names these days. My favorite one. Taylor Tomasi Hill is the Style and Accessories director for US Marie Claire magazine. I really relate to her style because she often mixes feminine pieces with boyish items. Harper's Bazaar Senior Fashion Market Editor Joanna Hillman style is cool but never trendy. She also doesn't look like she's trying too hard which is a rarity in the fashion world. 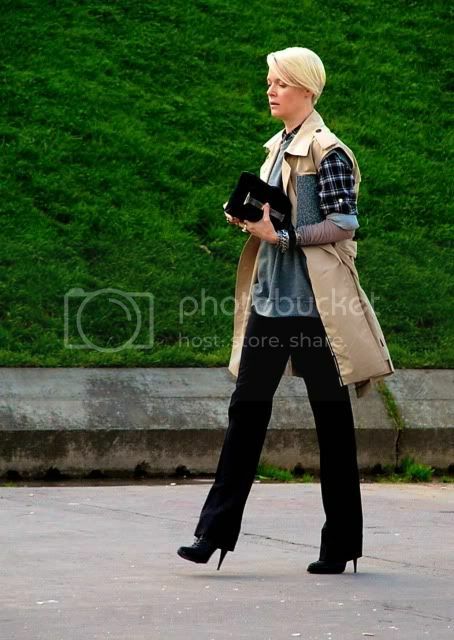 Glam rock, punk, edgy, Elle's Kate Lanphear doesn't look like your typical Amercian fashion editor. Last but not least, the one and only Vogue's Anna Dello Russo. She's one of the most inspiring, passionate fashionistas there are. I don't want to be cool, I want to be fashion. She got it all. Images via Style.com, JakandJil, The Sartorialist.